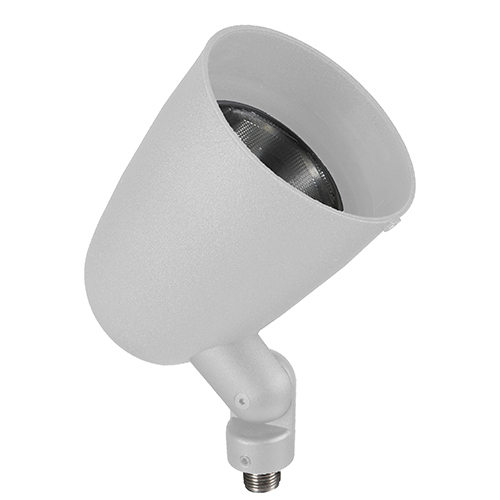 For highlighting focal points in a variety of landscapes, this line voltage up & accent fixture utilizes R40 or PAR38 Incandescent and HID series of lamps and is rated for use with lamps up to 175 watts. The injection-molded, fiber-reinforced Ryton™ R4 composite housing is designed to withstand the most rugged of applications. The intelligently engineered fully adjustable knuckle is made from injection-molded, fiber-reinforced composite which effectively isolates the fixture from the harmful corrosive soil. There are 18 super durable polyester powder-coated finishes to choose from. 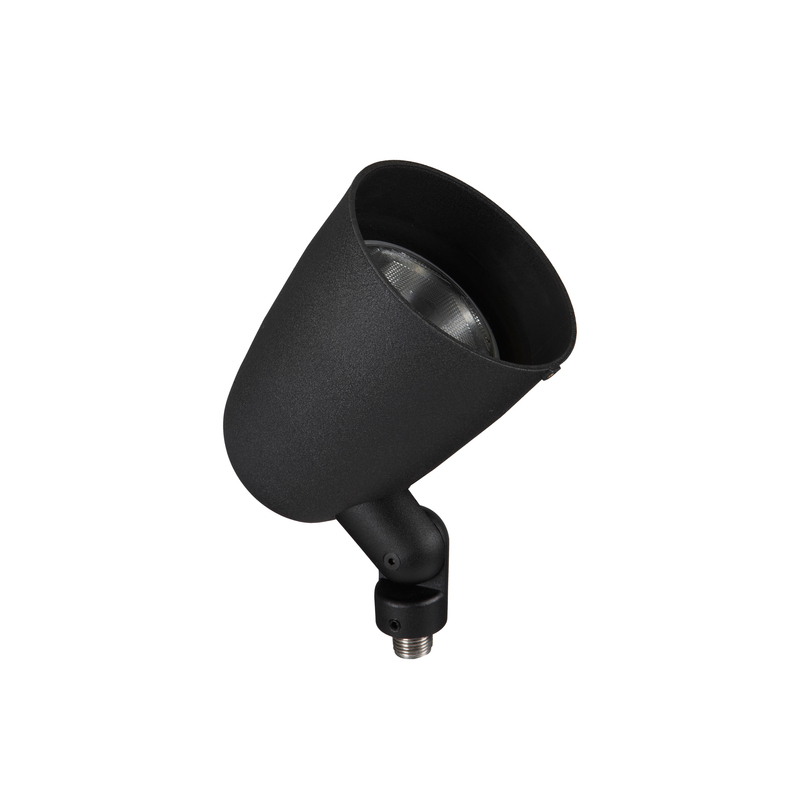 With several different optical accessories available, the 1007 stands ready for a multitude of lighting tasks. Lamp not included with fixture, mounting hardware not included. HID lamps require a ballast. 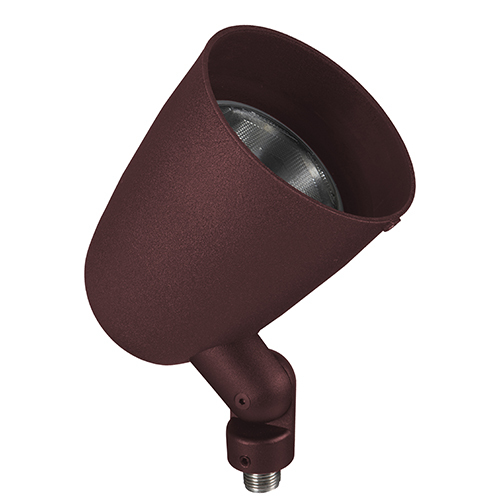 If “R” type lamp is used, optional lensed shroud must be installed.